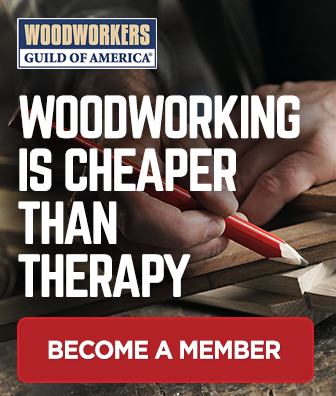 Woodworkers Guild of America is your go-to online resource for woodworking instruction, ideas, and information – a community where passionate woodworkers come together to express their creativity and master their craft. At WWGOA, we know that woodworking is more than a hobby for you – it’s a lifestyle. We want to be your favorite place for feeding that passion by learning new techniques, getting inspired by new ideas, and connecting with other woodworkers who feel the same way as you. Our goal is to help you become a better woodworker, and we teach through video. Our instructional videos are taught by friendly, talented woodworking experts who walk you through time-tested techniques and step-by-step demonstrations, providing helpful tips and ideas along the way. Our website is host to an extensive archive of woodworking videos, with new videos added regularly. You’ll also find interesting articles, project ideas, product reviews, Q&As with expert woodworkers, and lots more. Be sure to follow our social media pages too – these are great places to ask questions, share your stories, and connect with your fellow woodworkers. Woodworkers Guild of America has been creating instructional video content designed to engage woodworkers with their passion since 2008. In the beginning, we created and delivered the content woodworkers want right to their mailbox in the form of DVDs. Then in October of that year, we decided to create a new channel for that content so passionate woodworkers could enjoy the videos they love from the convenience of an Internet connection. Since then the website has grown to a thriving community of woodworkers, all seeking to expand their knowledge and explore their passion. Woodworkers Guild of America is one of several brands within our family of video-based websites, including National Quilters Circle, Fix My Hog, RV Repair Club, Classic Car Restoration Club, and many others. 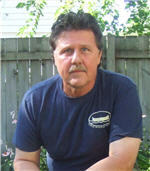 George Vondriska has been teaching woodworking since 1986. In addition to teaching classes at his own Vondriska Woodworks School, George teaches at woodworking shows across the country and has taught woodworking for Peace Corps/Swaziland, Andersen Window, Northwest Airlines, and the Pentagon. George has had numerous magazine articles published, from tool reviews to shop improvement projects. Learn more about him and his school at vondriskawoodworks.com. Tom Caspar has been a furniture maker since apprenticing to a Swedish cabinetmaker almost 40 years ago. Located in Minneapolis, Minnesota, he was for many years editor of Woodwork and American Woodworker magazines. 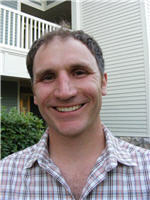 Tom has shared his expertise through more than fifty articles on a huge range of techniques and projects, as well as through reports on tool tests. 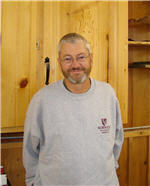 He has been teaching The Unplugged Woodshop, a 12-week introductory course on hand tools, for 25 years. Seth Keller designs and builds custom furniture in St. Paul, Minnesota. He sells his work locally and nationally. He studied literature and art at UW-Madison and UNC-Asheville and Interior Design at Parsons School of Design in New York City. His furniture skills are mostly self-taught, with the guidance of many mentors. Seth ascribes to the maxim that making mistakes is the best way to acquire knowledge. 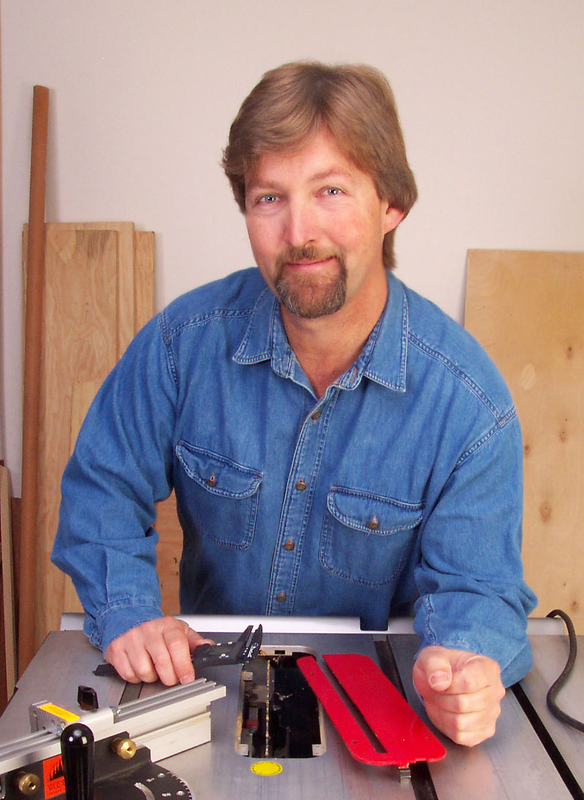 Bruce Kieffer resides in Edina, Minnesota, and is a freelance woodworking author, technical illustrator, and custom furniture builder. He has built everything imaginable, including uniquely designed art furniture, Stickley and other reproductions, all types of household furniture and even canoes and a sailboat. Fine furniture and custom cabinets are his specialty. You can see a collection of his work from the past 30 years on his website here! 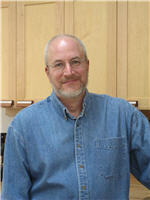 David Munkittrick lives in western Wisconsin and has been woodworking as a professional woodworker for 25 years. His property contains an old pig barn that he retrofitted to use as a woodwork shop. Over the years, he has had the opportunity to write numerous magazine articles for various publications on woodworking and home improvement. His passion is to build furniture and cabinets and tell the world of his experiences. He is continually amazed at the breadth and depth of woodworking throughout the world we live in. 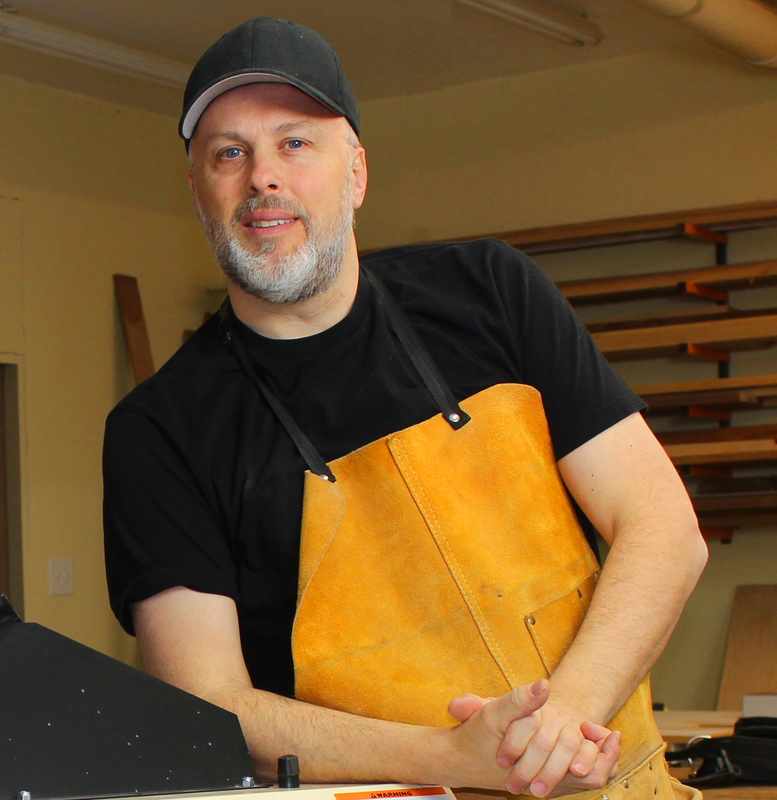 He sees his job as helping others get the information they need to develop their skills, make wise buying decisions and make their woodworking endeavors a success. David Radtke is a custom cabinetmaker, woodworker, home design consultant and freelance writer living in Minneapolis, Minnesota. As a former Senior Editor of a popular home improvement magazine, he designed and built specialty bookcases, landscape architectural projects and a variety of home improvement projects. He currently designs and builds furniture and writes woodworking articles for woodworking magazines and custom publications. Other projects include writing scripts for The Home Pro television series and making guest appearances on Minnesota Public Radio’s home improvement segments. He enjoys archery, bowmaking, woodturning, canoeing and cycling whenever he’s not standing behind a table saw or sitting in front of the drawing board. Learn more about David at David Radtke Design. Sandor Nagyszalanczy lives in Bonny Doon, California, and has more than 40 years of experience as a furniture designer/craftsman. 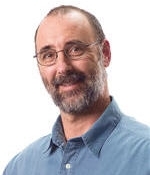 He has been a Senior Editor of Fine Woodworking magazine, West Coast Editor of American Woodworker and is currently a Contributing Editor for the Woodworker’s Journal. Sandor is the author and photographer of more than a dozen books on woodworking, tools and home improvement topics and is the winner of eight consecutive NAHWW-Vaughan first-place “Golden Hammer” Awards for his writing and photography. He’s served as a consultant to several major power tool companies and has lectured at woodworking fairs and exhibitions around the country.. I currently am a Premium Member and see your advertisement for Gold Membership for $8. What is the difference? Hi Paul. You can click on the link below and you will see what the Gold membership offers. Scroll down to the comparison grid and to get more information click on details. If you have any other questions, you can contact our customer service team at 1-855-253-0822 and they would be happy to help. Hi Pat. With the membership you will be able to have unlimited access to premium woodworking videos, projects and articles as long as you are connected to the internet. You can watch step-by-step instructional woodworking demonstrations and projects and receive regular discounts on Shop products including DVDs, Video and Plan Downloads, Classes and more! If you have any questions, please contact our customer service team at 1-855-253-0822. I need instruction, primarily on the lathe. I tried to sign up for the special for premium membership, but it says I had already taken advantage of the offer back in May, 2018. I thought I had too, but whenever I tried to access premium videos I could only get the overview short video. Am I entitled to those or not? Thank you. Hi David. I do see you are a premium member and your renewal date is 3/28/20. In order to view the full videos you have to be logged in with your username and password. Please contact our customer service team at 1-855-253-0822 and they will assist you. Why the HELL can’t I download the videos promised???????????????????????????????? Hello. I am sorry to hear you are having trouble viewing the videos. You do need to be logged in with your username and password in order to view the premium content. If you are still having trouble viewing the videos please contact our customer service team at 1-855-253-0822 and they would be happy to assist you. Hi, I do not want to renew my subscription. How can I do it. Thanks. Hello. Your information has been updated. Your email address has been removed from our Woodworkers Guild of America E-Newsletter mailing list. Please allow up to 5 business days for your request to be completed. If you have any questions, please contact us at 1-855-253-0822. I do NOT want to renew my membership and cannot find any other contact info to cancel. Please advise. Thank you for contacting us. In response to your request, we have cancelled your Annual Gold Membership. You will have access to your Gold membership until 1/1/2019. When I click on unsubscribe I receive a message “thanks for subscribing” Please delete me from you mail list. Gary. Hi Gary. Your information has been updated. Your email address has been removed from our E-Newsletter mailing list. Please allow up to 5 business days for your request to be completed. Let us know if you have any questions. Thank you for contacting us. Please check your email for cancellation verification! I’m not a member of woodworkers last year I had same problem with you called credit card and canceled the payment. I don’t know you got this but take me off and please I don’t want to be a member. I will call my credit card today and let them to refuse payment. Please email me back that you received this email Thank You. Hi David. In response to your request, we have cancelled your Annual Premium Membership. You will continue to have access to the site until 2/3/2019. If you have any questions, please contact our customer service team at 1-855-253-0822. Are there women in your organization? Why or why no? What roles or positions do they occupy? Are you planning to fill any prominent positions with women in the future? Hi, I do not wish to renew my subscription but cannot find the cancellation method. Please help. Hi John. In response to your request, we have cancelled the auto renewal of your Annual Premium Membership. Your membership will remain active until:5/30/2019. If you decide to reactivate your Annual Premium Membership, please contact Customer Service at 1-855-253-0822. Hi Fredrick. I see that you have successfully signed up for the premium membership with the promotional offer. If you have any questions, please contact our customer service team at 1-855-253-0822. I will make my best to learn as much as possible from all of you. By the moment i’am need to know how to build amd install a house roof including all material needed and basic tools to do the work. 10/25/2019. If you have any questions, please contact our customer service team at 1-855-253-0822. Hello. I see that you chatted with us a couple of days ago and your membership has been cancelled. If you have any questions, please contact us at 1-855-253-0822. Please remove my name from your e-mail list. gmcvey@windstream.net. Thank you. Hi Gary. Your information has been updated. Your email address has been removed from our E-Newsletter mailing list. Please allow up to 5 business days for your request to be completed. If you have any questions, please give our customer service team a call at 1-855-253-0822. Been a Gold member and am now a Platinum member. You folks are amazing thak you for all your help in getting my retirement hobby off the ground. Hi Ron. Thanks for the great feedback! We appreciate it. I wish to cancel my membership permanently. WWGOA may be good, but it is not what I thought it would be. I cannot find a place to cancel. Please cancel my membership and confirm that it is done. Please do not charge my credit card. Hello. In response to your request, we have cancelled the auto renewal of your Annual Premium Membership. Your membership will remain active until:3/3/2020. We did want to make you aware that we do send you an email reminder 45 days prior to your renewal date, and by opting out of the automatic renewal you will no longer receive this email notification. If you have any questions please contact our customer service team at 1-855-253-0822. Hello. In response to your request, we have cancelled your Annual Premium Membership. Your refund amount due is:$40.00. Please allow 2-3 business days for the refund to process. Your membership will remain active until 3/17/2019. If you have any questions, please contact our customer service team at 1-855-253-0822. Hi Jack. Are you looking to unsubscribe from the Enewsletter? If so please let us know and we will take care of that for you, or you can scroll down to any of the emails you received and click on the Preference Center Link and there you can unsubscribe. If you have any questions, please contact our customer service team at 1-855-253-0822 and they would be happy to assist you. How do I quit my membership? Hi Warren. I do see that you contacted us by email and your membership was cancelled. You will have access until 5/7/2019. If you have any questions please contact our customer service team at 1-855-253-0822. I have an opportunity to purchase a portable sawmill to use on Douglas fir. My interest is to set up my barn to dry milled lumber and by machine/hand tools to make doors, cabinet faces, and trim. I noticed bios of some instructors focused on setting up with tools to fit requirements. Would this be scenario fit the premium membership of 40 a year? Hello. 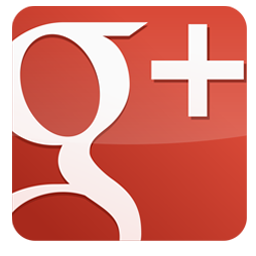 Yes, You will find content on all of these topics here at WWGOA. I was shocked to get a car advertisement playing at the start of one of your videos!? Why would I pay to be a member? Please advise. Hi Stephen. Thank you for your feedback. There are short ads that last about 30 seconds or so that are on the Free videos. We do appreciate your feedback and I will forward it along to the proper department. Your comments are important to us and help with the development of our programs.